Give a gift to empower women & children to live their best lives. Support domestic violence, sexual assault resources, building healthy relationship skills, early education at the Sprout School and women's leadership development throughout our region. Apply My Donation To Please select... Domestic Violence & Sexual Assault Resources Healthy Relationship Building: Outreach & Advocacy Efforts The Sprout School Wherever funds are needed most! months old. She knew she needed to leave before things got worse. With your help, YWCA staff assists survivors like Jeannie and Alex with connecting to resources for crisis management, safety planning, emergency housing, and navigating health care. Alex was accepted on full scholarship for three years at the Sprout School, ensuring kindergarten readiness when the time came. Today, Jeannie says, "It's been a long, five-year journey. I see so much clearer." With your help, a domestic violence survivor and her child can find freedom again. Please make a gift to support Jeannie & Alex journey to safety and independence. Continue doing the amazing work that you do and never stop fighting against domestic and sexual abuse. Funds raised from "Waffles For A Cause" at Capitol Waffle Shop! In honor of the fight to ratify the Equal Rights Amendment to the U.S. constitution and the tenacious volunteers of the VARatifyERA.org movement. I know the government shutdown is impacting local agencies' ability to provide essential services to survivors. I hope this small amount will help. Rather than a Christmas gift, we asked our daughters to make a charitable donation to a nonprofit organization and we would match the gift. For Christmas this year, my Mom and Step-Dad asked their kids to pick a charity to donate to, and they agreed to match our donation. I chose yours. Thank you for all you do. 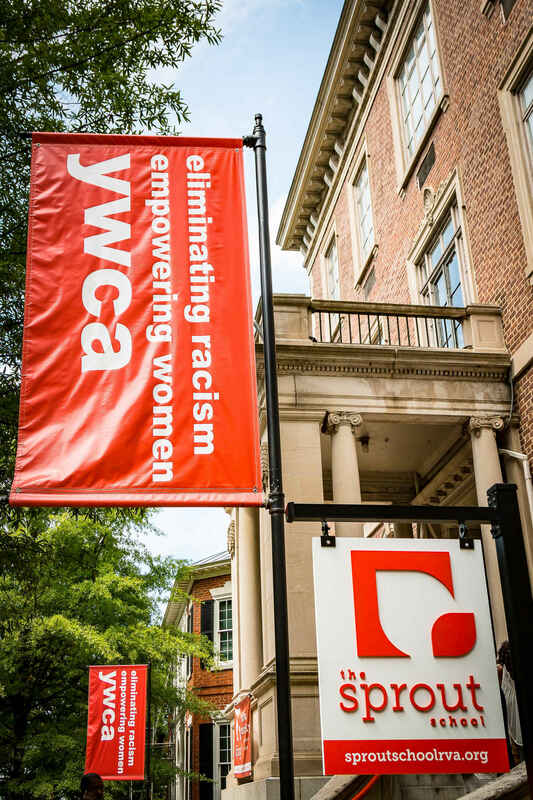 Richmond wouldn't be the same without the hard, necessary work of our YWCA. Love y'all. I am proud to support the YWCA Richmond mission to empower women, children & families to live their best lives!